Mythical creatures have always fascinated us - from magical unicorns and dragons to griffons and Manticore; the folklore was never short of coming up with these fantasy animals. The reason why so many of these animal combinations 'exist' is probably that new species, when spotted for the first time left an exaggerated impression to the beholder, thus becoming a more impressive version of the real animal. Another reason is that these mythical creatures often were allegories, carrying some secret messages with them. 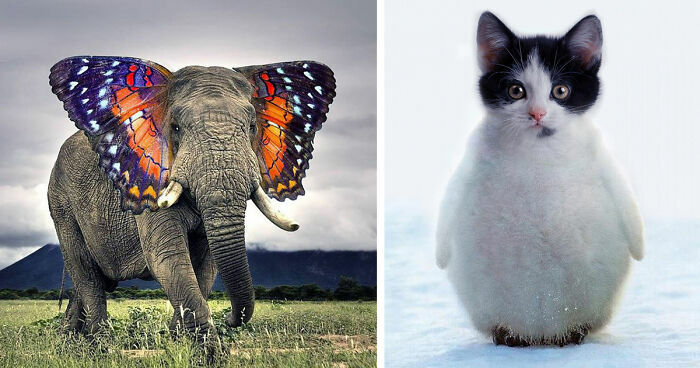 Well, no matter the reasons, these weird animals are surely a sight. Now, with the advent of Photoshop, mythical creatures and photoshopped animals are easier than ever to create and share with your friends! Several online communities are dedicated to hybrid-creature creation: Bored Panda previously had a mega-list of animal pictures, and Reddit has a large community over at /r/HybridAnimals. 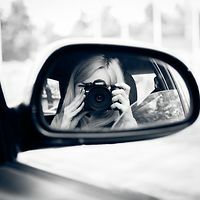 We've written about some members of that weird photo community, too! Feel free to submit your funny animals to the list below as well. love it!! If only it were real! The snowy owlpard is gorgeous, but I love them all. Towel !?!?! What about owger? Helps you to cross the desert and then licks welcome to you! Cute...could eat very big flies! It looks like something you would go on a quest for to ask its advice. Would not like that coming at me. That could be in Labrynth or Legend. Look fiercer than wolves...it's the eyes. This hybrid animal is the lion × guinea pig. In Japan, the guinea pig is pronounced as "marmot". Not really sure if cute or scary? At least it moves slow. Kinda looks like some kind of hippie critters. Freaky! I think I'll have nightmares tonight after some of these! Not getting in front of that! I am a horse girl!!! The insect wings are ridiculous: so small and BACKWARDS. This seems clearly historical, but what the name even mean? that would be so funny !